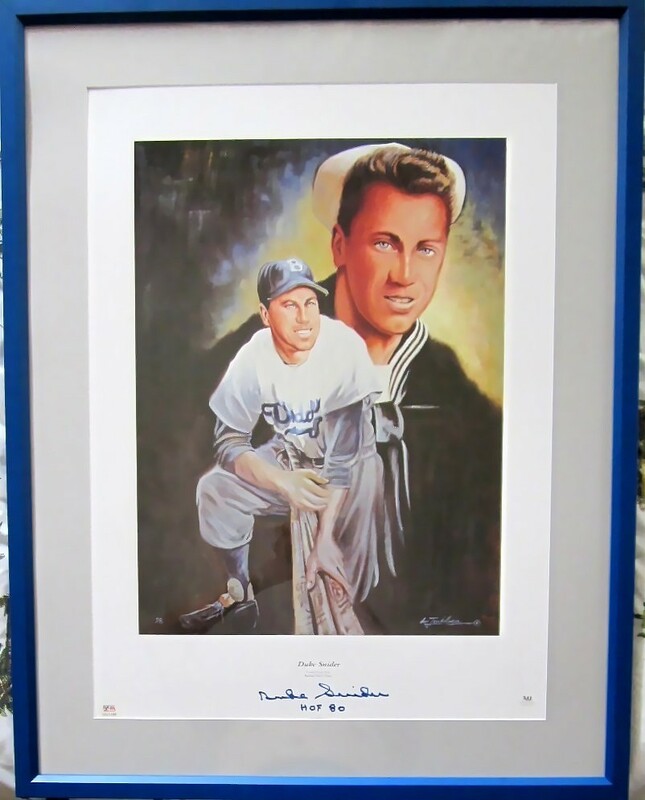 Beautiful 18 by 24 inch lithograph autographed in blue marker on the bottom margin by the late, great Brooklyn Dodgers Hall of Famer Duke Snider, professionally matted and framed with plexiglas, ready to hang. 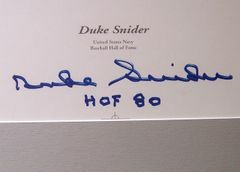 Snider added HOF 80 to his signature. 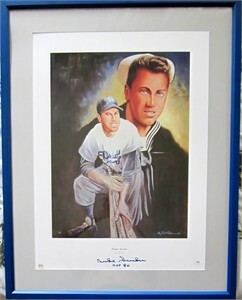 The framed size is 24 1/2 by 31 inches. 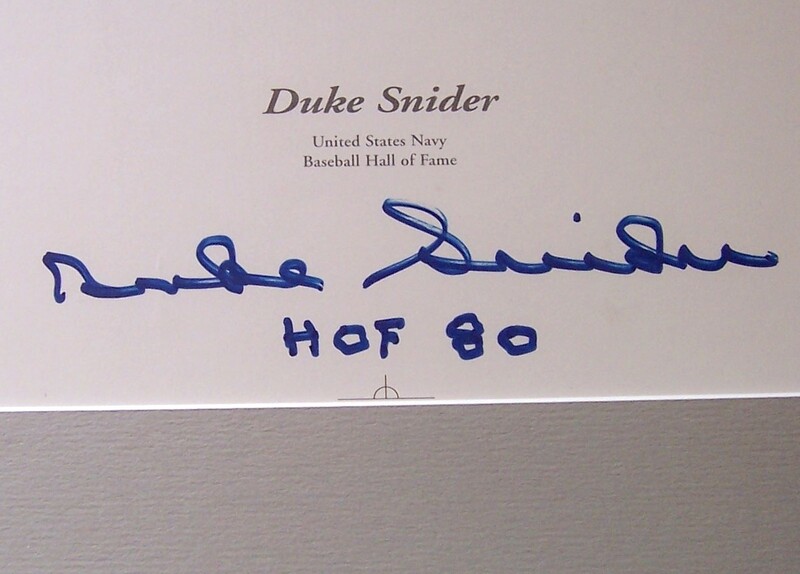 Witnessed and authenticated by PSA/DNA, with their numbered sticker on the bottom left corner and certificate of authenticity. NOTE: there are tiny printer's lines at all four corners and and center of the top and bottom edges that are noticeable only upon close inspection. ONLY ONE AVAILABLE FOR SALE.